The UK’s leading independent job board, CV-Library, has today announced that it has re-launched its leading Scottish job site, Scotland-Jobs.co.uk, as it continues to increase its network of 800+ recruitment partners. 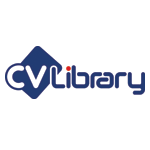 The re-launch of the site will ensure that CV-Library continues to drive strong applications to clients’ vacancies in Scotland, while also helping candidates across the country to find their next role. This comes at a great time given that the job board’s latest data reveals that advertised vacancies in Scotland were up by 21.2% in May, while candidate registrations also rose by 9.7%. The investment into the site will improve overall user experience, making it easier for candidates in the area to search and apply for roles. CV-Library already boasts 894,400 candidates in Scotland on its site, who make an average of 68,500 applications every month.